Cooked pork skin is used in Nam sausage and Nam Sod, a recipe similar to Laab, but with pork skin and a few other ingredients. Here in the US, pork skin comes cooked and frozen in a plastic bag, already sliced. Rinsing with cold water works really well. Another type of pork rind that is really popular in Thailand is the deep fried pork rind. The rinds are eaten with beef noodles. 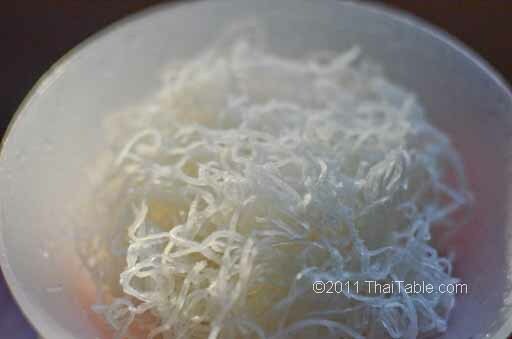 It is also eaten as a snack with nam prig pow. You can find pork rind in many supermarkets.